Sonic Mania (game, 2017). A 2017 platform video game by SEGA of America, Inc./SegaSoft/Sega Of America, Inc. Developed by SEGA, Christian Whitehead, Headcannon, PagodaWest Games, SegaSoft, Sega, PagodaWest Games, Tantalus. Official Trailer. Sonic Mania is a 2017 platform video game by SEGA of America, Inc., Sega Of America, Inc. and SegaSoft, developed by Christian Whitehead, Headcannon, PagodaWest Games, SegaSoft, Sega, PagodaWest Games, Tantalus and SEGA. Sonic Mania - Official Nintendo Switch Trailer. Following the events of Sonic 3 & Knuckles, Sonic and Tails receive a powerful energy reading from Angel Island and board their biplane, the Tornado, to investigate. However, Doctor Eggman sends an elite group of EggRobos to reach the signal before Sonic and Tails. The EggRobos excavate the source of the signal, a magical gemstone called the Phantom Ruby, just as Sonic and Tails arrive. The EggRobos gain new powers from the ruby, becoming the Hard Boiled Heavies, and send Sonic, Tails, and the island's guardian, Knuckles, through places they have previously visited where they pursue Eggman to prevent him from using the ruby's power for evil, clashing with him and the Heavies along the way. Sonic and his allies discover that Eggman has used the Phantom Ruby's power to retake control of Little Planet from Sonic CD. They board Eggman's robotic fortress, defeat him and the Heavies, and escape just as it explodes. If all seven Chaos Emeralds are collected while playing as Sonic, the Phantom Ruby transports Sonic and Eggman to another dimension. There, the Hard Boiled Heavies' leader, the Heavy King, betrays Eggman and takes the ruby, imbuing himself with power; Eggman attacks the Heavy to try to reclaim it. Sonic uses the Chaos Emeralds to become Super Sonic and fights Eggman and the Heavy to keep the ruby out of the possession of both. After the battle, the Phantom Ruby reacts with the Chaos Emeralds, negating Sonic's super state and creating a wormhole that engulfs itself and Sonic as Little Planet vanishes. 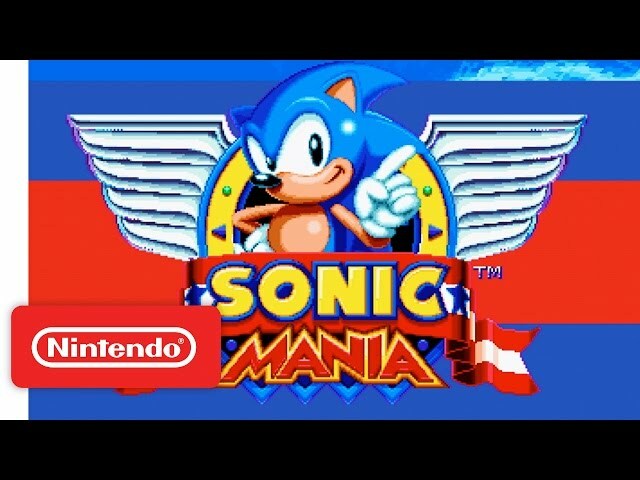 Sonic Mania is a sprite-based, side-scrolling, platformer action game similar in gameplay and style to the early Sonic the Hedgehog games released for the Sega Genesis. Players select one of three playable characters, each with their own unique abilities: Sonic can perform a "drop dash" which sends him rolling in a dash after a jump, Tails can fly and swim, and Knuckles can glide and climb walls. As with Sonic the Hedgehog 2 (1992), players can either play as Sonic and Tails simultaneously, or allow Tails to be independently controlled by a second player. The game features unlockable gameplay modifiers, including the option to use Sonic's abilities from Sonic CD (1993) and Sonic the Hedgehog 3 (1994) in place of the drop dash, and "& Knuckles" mode, which allows simultaneous control of any character and Knuckles. 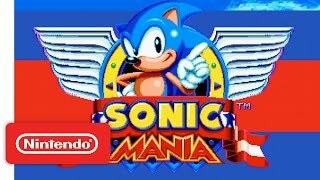 Sonic Mania was scheduled to be released by SEGA of America, Inc., SegaSoft and Sega Of America, Inc. on August 15, 2017 (North America, Europe), on August 16, 2017 (Japan), on August 29, 2017 and on August 30, 2017. The game is made with Retro Engine engine. This video game is available for the following platforms: Nintendo Switch, PlayStation 4, Xbox One and Windows.